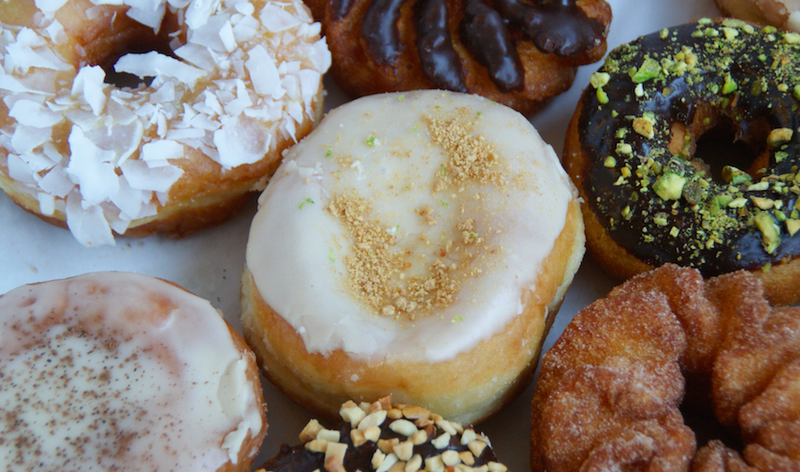 Mojo Monkey Donuts: Big Boom Bang and Whip-tang! Big Boom Bang and Whip-tang! Explosion of flavor arrives June 10 in the form of our Red, White and Lemon Blueberry Bismarck. This special donut will be available everyday through July 6. You guessed it--just in time for July 4! Ingredients include fresh blueberries and lemon. The bismarck is topped with red, white and blue striped pattern. In advance of the arrival of this special donut take a look at these wonder-fulls. Boom. Donuts can blow your mind!